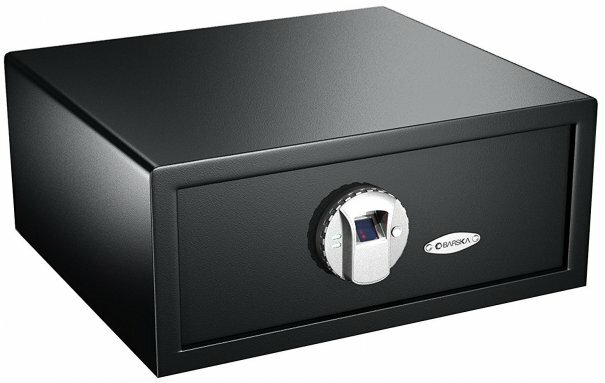 Amazon's Choice for home safes, the SentrySafe Fire and Water Safe is a heavy-duty option with a solid steel exterior and 1.23 cubic feet capacity. It has four extra-large live-locking steel bolts, pry-resistant hinges, a dual-combination lock and key, an adjustable interior shelf, key rack, door tray, and door pocket. It's certified by UL and ETL to provide fire protection for up to an hour, water resistance up to eight inches for 24 hours, and digital media protection. This is available with an electronic or combination lock, and can be bolted down with the included kit. It comes from the trusted SentrySafe brand, is recommended by ConsumerSearch and Business Insider, and has hundreds of five-star reviews on Amazon. It's also backed by a one-year manufacturer's limited warranty. 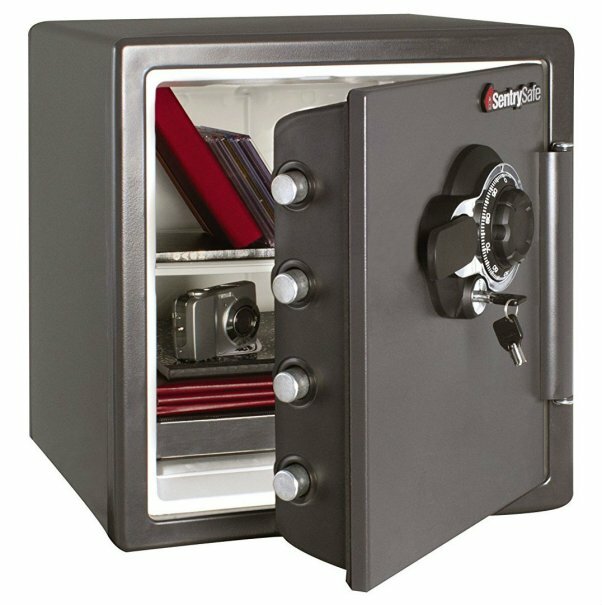 If this large safe doesn't work for you, SentrySafe has best-selling safes in all sizes and options, including the SentrySafe Security Safe, Medium Digital Lock Safe, SentrySafe Fire Safe, Waterproof Fire Resistant Chest, and SentrySafe Pistol Safe. 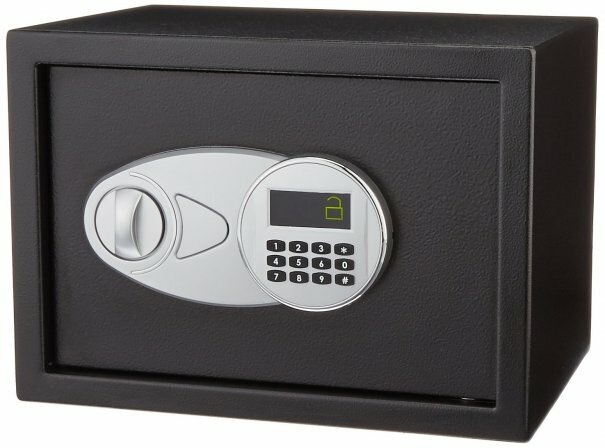 Amazon's #1 best-seller in security lockboxes and cabinet safes, the compact AmazonBasics Security Safe has a 0.5 cubic feet capacity. It has solid steel construction, scratch-proof carpeted floor, and a black exterior finish. It includes re-programmable digital access and two emergency override keys. It is also equipped with an electronic lock, two live-door bolts, pry-resistant concealed hinges, and an adjustable interior shelf. It's light enough to be carried around, if it's not affixed (with included mounting hardware). It is recommended by Business Insider and Locksmith-Advisor. It's also part of Amazon's Home Gift Guide, one of the "Most Wished For" items, and has more than 1,500 five-star reviews on Amazon. The sturdy, solid steel Stack-On Drawer Safe with Electronic Lock is the perfect size to hide inside a drawer or small space. It features two live-action steel locking bolts, concealed pry-resistant hinges, and an easily programmable electronic lock. It includes a backup key and there's a timeout period after three incorrect combination attempts. It includes pre-drilled holes and fastening hardware for mounting. It has outstanding online reviews, including more than 1,500 five-star reviews on Amazon. 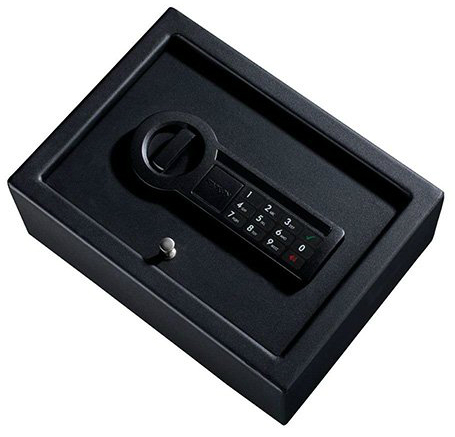 The solid steel Barska Biometric Safe with Fingerprint Lock is a small safe with a biometric closure. It opens with the touch of a finger, so you don't have to worry about finding a key or remembering a combination. It's easy to set up and can store up to 30 fingerprints. It includes mounting hardware and two emergency backup keys. It is recommended by Business Insider and Best Gun Safe Pro, and has more than 1,000 five-star reviews on Amazon. 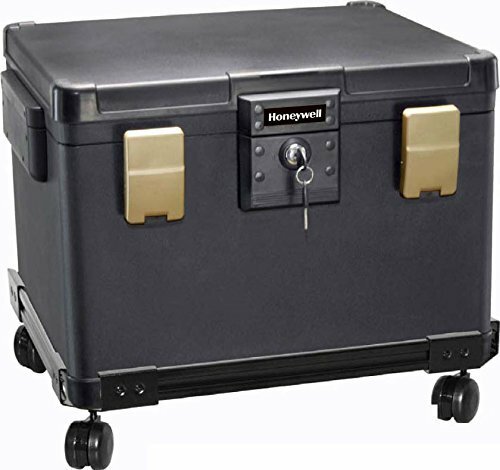 The Honeywell 1-Hour Fire Safe Waterproof Filing Safe is a sturdy home safe with up to 1.06 cubic feet of storage space. It is fireproof for one hour and waterproof for up to 48 hours to better protect your most cherished possessions. It features dual compression latches and safety hinges for additional protection. The large box chest includes two entry keys and a sturdy wheel cart for easy transport. It's also available in three different sizes to suit your needs. It's backed by more than 500 five-star reviews on Amazon and a seven-year limited warranty and lifetime after-fire guarantee. 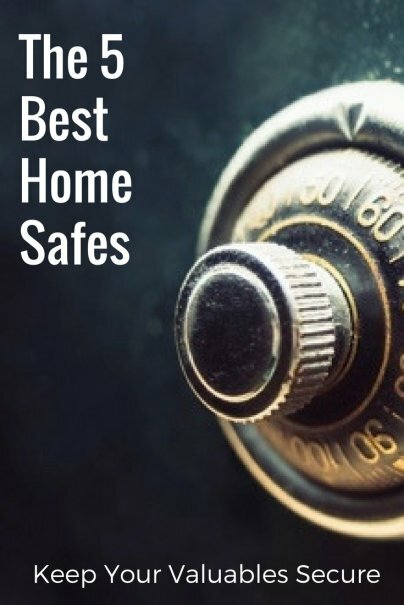 And those are our recommendations for the best home safes. As always, be sure to check Wise Bread's Buying Calendar to learn when and how to buy just about anything!